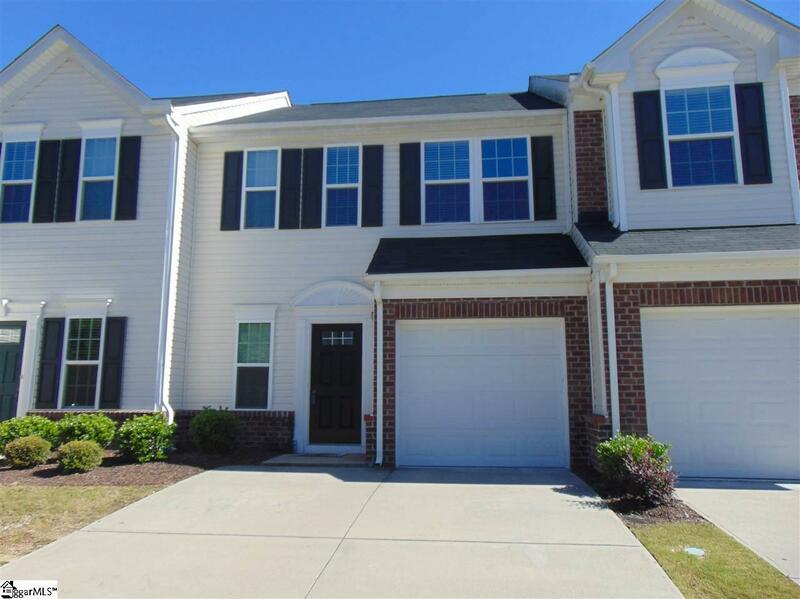 Awesome Townhome located in Mauldin just off Butler Rd. with easy access to I-385, Woodruff Rd. and award winning schools. This home is updated with all new carpet throughout, new paint throughout, granite counter-tops and updated appliances. This Townhome with a one car garage and two parking spaces features an entry foyer with hardwood floors that leads to an open family room with 9ft. Ceilings. The beautiful kitchen with granite counter-tops, custom cabinets, tiled back-splash overlooks the family room and large breakfast/dining area plus the large sun room with lots of windows overlooking the backyard with a private patio. The upstairs features a large master bedroom with walk-in closet and a full bath with garden tub and separate glassed in shower. The two additional bedrooms both have walk-in closets and there is an additional full bath off the hallway. Also there is a walk-in laundry room. This Townhome is fantastic and will not last long!!! !